He told his story to a writer with whom he shared a jail cell in Genoa in 1299 after being taken prisoner in a sea battle. It became the travel epic, Divisament dou Monde, (Description of the World), which was received with astonishment and disbelief. Thirteenth century Venetian explorer Marco Polo never reached China, but lied about his trip to the Middle Kingdom after collecting second-hand information from Persian travellers he met on the shore of the Black Sea, according to a team of Italian archaeologists. Knowledge of Marco Polo’s famed trip are based on The Travels of Marco Polo, as recounted to and written by a writer from Pisa named Rustichello. Marco Polo, the famous Venetian traveller, is said to have visited South India twice, in 1288 and 1292, where he saw a tomb of St. Thomas at “a certain town” which he does not name. Many historians accept these dates and visits without question, and identify the little town that he speaks of with Mylapore. Yet it would appear that they are mistaken about the visits, as, indeed, was Marco Polo about the tomb of St. Thomas. 1. Hippolytus, the third century Roman theologian and antipope, is the earliest writer to say that St. Thomas was martyred and buried at Calamina, which he claims is in India. He is followed at the end of the third century by Dorotheus of Tyre, and in the seventh century by Sophronius of Jerusalem and Isidore of Seville. Thomas Herbert identifies Calamina with Gouvea in Brazil, T.K. 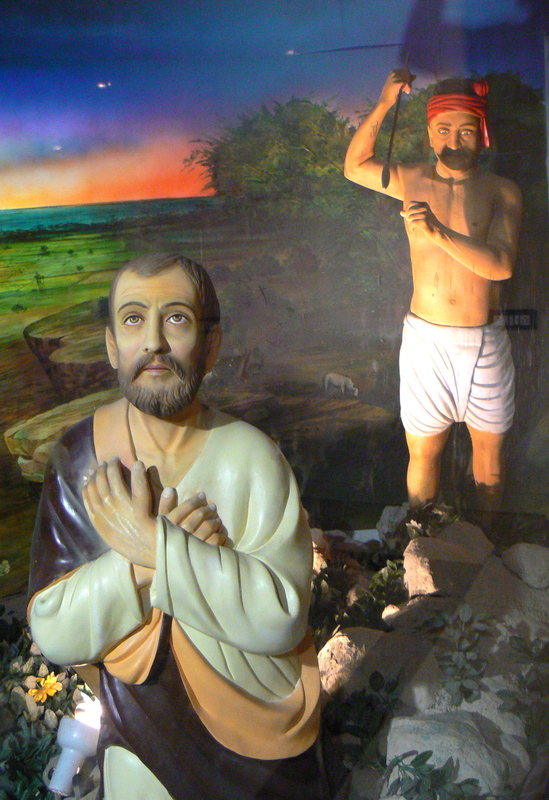 Joseph with Kalawan near Taxila, P.V. Mathew with Bahrain, and Veda Prakash with Kalamai in Greece. Calamina has never been identified and ancient Thebes northwest of Athens may be added to the list of conjectures. It was originally known as Cadmeia and often called that up to the end of the second century CE. Cadmeia when latinized becomes Calamina. The earth from the single grave of its twin heroes, Amphion and Zethus, was believed to contain great power and was protected, even as the earth of St. Thomas’s sepulchre was believed to heal. Cadmean or Thebean earth, called calamine, is pink in colour and used in medicine and metallurgy.